It doesn’t have to be awkward or intimidating. I was enjoying a bagel, on a park bench by myself, when I first read the news about eating alone. It was delivered to me in an email, with the subject line: “biggest single factor for unhappiness: eating alone.” That’s ironic, I thought to myself, and took another bite of my bagel and schmear. The email was sent from a colleague, and explained how eating alone has a stronger link to being unhappy than any factor other than mental illness, according to research from Oxford Economics and the National Center for Social Research. For me, the data couldn’t be farther from the truth. Eating at a cafe with a book, or grabbing a seat at a bar alone is a self-care ritual I cherish. But I get why other people don’t like it. Perhaps they’re scared of what other people will think, or what their inner thoughts will reveal when there’s no one around to distract them. 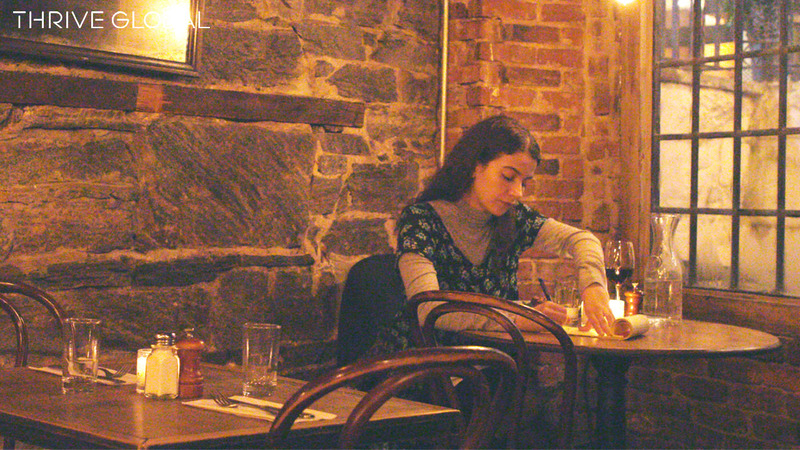 Regardless, for people who like to eat alone, the self-care benefits are plenty — you can dive into a new book or write in a journal — and there are ways to ease into the experience if you’re feeling nervous. I decided to try a couple of restaurants that are great for people who are new to the eating alone scene, in hopes that it will encourage them to take the plunge and ask for a table for one. Here’s what happened.